Sciatic pain can be a debilitating condition that affects your quality of life and quality of sleep. The condition is characterized by pain that starts in your lower back and goes down into your legs. There is no cure for sciatica, so if you have had a history of sciatic pain, the best measures are preventative, and you should avoid activities that place high strain on your lower back like heavy lifting. Most conditions of sciatica are caused by a herniated spinal disc that puts pressure on one of your sacral or lumbar nerve roots. There are many other conditions that can result from untreated sciatica, so it is important that you take steps to relieve pain when it develops. As is the case for most medical conditions, one of the best solutions is getting a good night’s sleep, which can be especially difficult with sciatica. We have a few suggestions that can help treat your sciatic pain during sleep. The first step that we recommend is to make sure you are sleeping on a supportive mattress. Old mattresses that have been used for a decade or more tend to sag and develop unsupportive zones that can aggravate sciatic symptoms. 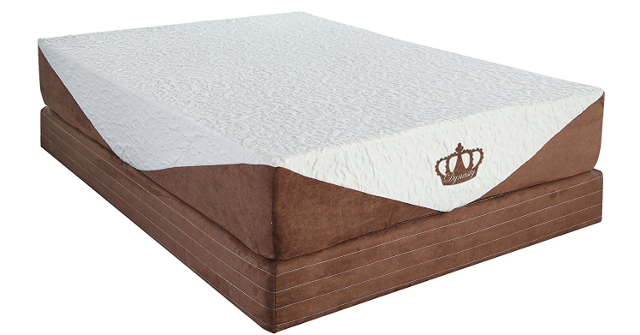 While no mattress can solve sciatic pain in itself, a new mattress will provide better support than any one that has lost its supportive qualities. The most important section needed for support of sciatica is your lumbar region, which needs to be aligned properly to keep sciatic symptoms from getting worse. Most doctors recommend a medium-firm mattress that relieves pressure points, but provides enough support to give you proper spinal alignment. Have a look at our list of the 10 Best Mattresses for People With Sciatic Pain for information on the best mattresses on the market that can help to relieve sciatic symptoms. Another tip that we have for treating sciatic pain during sleep is to use a pillow to support good posture while you are sleeping. If you are a side sleeper, placing a pillow between your legs will keep spine, hips, and pelvis aligned properly. If you are a back sleeper, placing a pillow underneath your knees will elevate your legs and take pressure off your lower back (add more pillows for comfort if necessary). You can also invest in a mechanical bed that allows you to adjust your positioning to your needs. It is generally harmful to sleep on your stomach if you are suffering from sciatica. A final tip to help relieve sciatic pain is to keep your muscles warm with a heating pad or a warm bath or shower before bed. This will keep your muscles loose and flexible, allowing them to take pressure off of your lower back. Likewise, having a stretching routine that incorporates stretches such as knees to chest, pelvic tilt, or knees to opposite shoulder, will help keep your muscles loose. Doing exercises that promote core strength will also help your muscles to take pressure off of the herniated disc that is usually causing the sciatic pain. If you try all of these tips and symptoms still persist, we recommend that you go see an orthopedist or chiropractor.